Paying a visit to a display centre to sample some of the possibilities for your own home first-hand is undoubtedly one of the most exciting stages when building a new home—but you do need to approach them with some caution. To help you maintain your focus on the end-goal and avoid getting sucked in by fancy marketing techniques and pushy salesmen, here are five things you should keep top-of-mind when visiting a display home. When you first walk into a spectacular display home it’s near impossible to avoid falling in love with the idea of living there yourself. However, the reality is that for most home buyers, budget will be the deciding factor that dictates their final purchase decision. To save yourself the disappointment of getting your heart set on a home design that is well out of your price range, it’s a good idea to speak to your lender or broker before making the trip to a display centre, so you know exactly what you can and can’t afford. Functionality is always the most important factor when weighing up various home designs, so make sure you look beyond the lavish fittings, fixtures and styling of the property and maintain focus on the functionality and suitability of the floor plan. 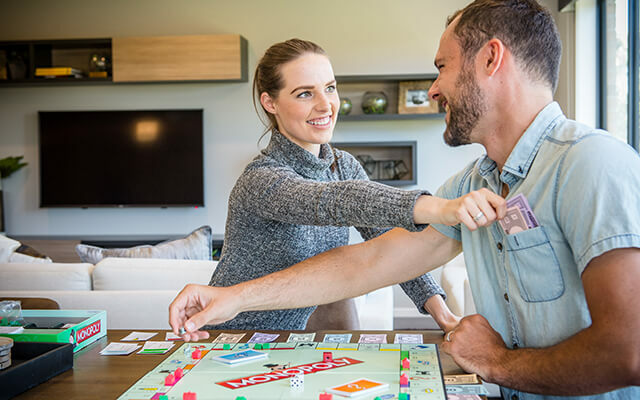 It’s a smart move to do a brainstorming session to define what your core criteria is before visiting a display centre, so it’ll be easier to identify the ideal home when you find it. Try writing down a list of all the features you’d like to have in your home, (whether it’s space, the number of bedrooms, number of living spaces, an open floorplan that flows to the garden, a butlers’ pantry to the kitchen or a master private retreat), then categorise each feature according to its importance as either ‘essential’, ‘desirable’ or ‘not that important’. This will act as a guide when visiting display homes to help you find a design that ticks all the important boxes while staying within the limitations of your budget. 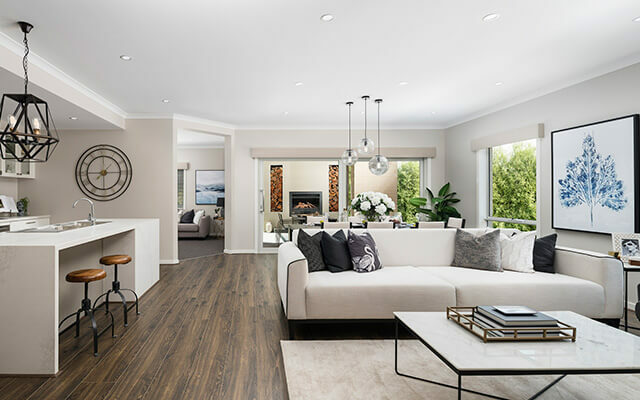 It’s easy to get carried away with the idea of living in a home that’s identical to a display home, however the home you see when you visit a display centre is rarely the same as the home you’ll receive with a standard house and land package. Because builders want to showcase the best of what they can offer their customers, they will typically fit-out their display homes with their premium range of fittings and fixtures, rather than the fittings and fixtures that come as standard. 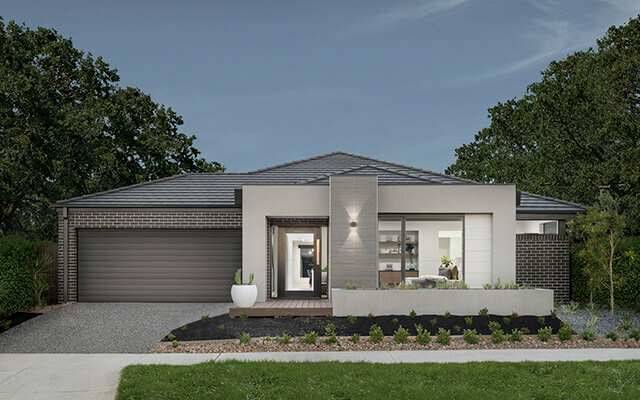 If you have the budget to opt for the premium upgrades offered by the builder then you can create a home that’s identical to the display home you’re sampling. However, if you don’t have that luxury, make sure you carefully inspect the builders list of standard inclusions so you have a realistic picture of what your finished home will look like. While we previously mentioned the importance of avoiding getting sucked in by ‘pushy salesmen’, you can get some great advice by taking the time to ask the service representatives lots questions while visiting a display centre. With their in-depth knowledge about their home designs, how the purchase and building process works and their experience working with other customers in the past, they can offer you plenty of information to clarify ‘grey areas’ and dispel any myths. Provided you have a good understanding of what your budget and core requirements are, asking for more information may shine a light on some things you hadn’t considered. The phase of anxiety is coming up because you have so many tasks to do, especially start writing a research paper? Don’t waste your time and see this page for getting help with your paper. Find a free minute for more complicated tasks with such essay-writing service. While it’s a bit of a no-brainer, it generally isn’t the best idea to sign a contract on the first home you inspect. While the first home you look at my seemingly tick all the boxes, there’s no harm in doing a little more research and inspecting a few different homes before you settle on your favourite design. After all, you want to know with confidence that you’ve selected the home that best meets your requirements and budget to avoid facing any buyers’ remorse down the track. 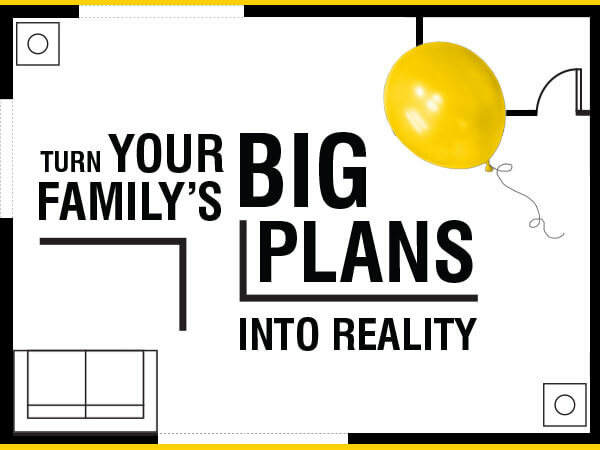 At Dennis Family Homes, we offer you the choice of more than 80 contemporary home designs, with one that’s sure to suit every family, lifestyle and budget. 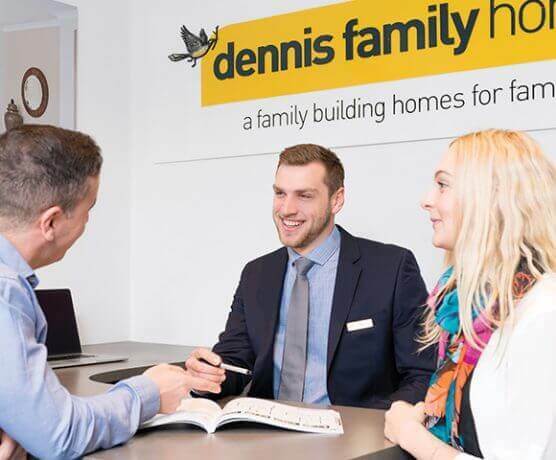 Visit one of our display centres across Melbourne, Victoria and New South Wales to sample what life could be like when you build with the Dennis family.